The inventory and the characterisation of terrestrial and marine biodiversity have stepped up in rhythm over the past few years owing to new molecular screening techniques (i.e. DNA metabarcoding1) that complement the more classic methods by combining genetic barcoding and taxonomy2. Molecular exploration and studies have shown that the deep sea harbours a wealth of species with exceptional physiology — extremophile organisms that can adapt to variations in temperature from 2 to 400°C, or to methane or hydrogen sulphide emissions. However, knowledge on deep-sea biodiversity is still limited and the current molecular inventories focus on viruses and microbes. The Pourquoi pas les abysses? project aims to accelerate knowledge acquisition on deep-sea biodiversity. 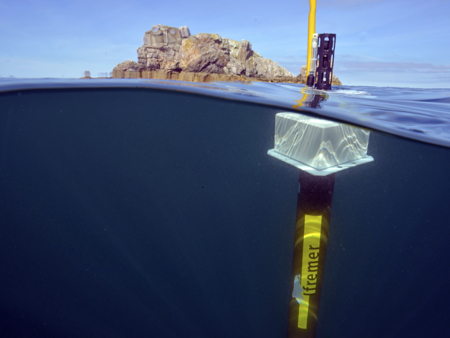 This project will study the large-scale distribution of marine biodiversity in the deep seabed sediments and in the bottom waters at the water-sediment interface on the seafloor. The Abyss project focuses on meiofauna and macrofauna (polychaetes, nematodes, crustaceans, echinoderms, molluscs) as well as on microorganisms with which these taxa interact. This project will allow a great leap in the identification of biodiversity. “For comparison, ten years’ worth of REBENT3 survey data on seagrass beds roughly corresponds to 320 identified species, but molecular analysis of a single year’s worth of samples from the same sites revealed more than 1000 operational taxonomic units (OTUs) depending on the targeted gene,” highlight Sophie Arnaud-Haond and Florence Pradillon, the scientists leading the Abyss project. Sampling will follow a two-pronged strategy: systematic sampling during oceanographic cruises conducted by IFREMER in the zones of interest and opportunistic sampling with help from partners such as NOAA, IEO and the INDEEP international network that will provide samples from diversified areas. This project requires optimised methods and the development of innovative protocols for sampling species communities for morphological studies, DNA and RNA extraction and preservation, molecular analyses, whole genome sequencing, bioinformatics processing, etc. The Abyss project will produce vast knowledge on the wealth and distribution of marine biodiversity, the amount of spatial heterogeneity of species communities, and on the interactions that play a preponderant role in the dynamics of these communities. Metabarcoding and other molecular techniques will help reveal rare species, obtain information on the frequency and the date of potential radiation events in the deep sea, the evolution of the major kingdoms of life and the dispersal history of fauna during the major geological periods. 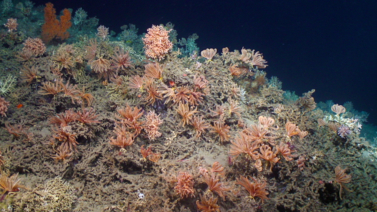 Moreover, these molecular techniques will help answer the societal question of the impact of mining on deep-sea biodiversity by developing methodologies to define the initial baseline states, the type of impacts and the monitoring methods to implement. These studies will draw on the studies conducted in situ during oceanographic cruises dedicated to the deep sea. Based on molecular barcoding techniques, metabarcoding is used to identify all the species present in a given sample (soil, sediments, excrements, etc.). Molecular or DNA barcoding or genetic barcoding is a modern molecular taxonomy technique used for the genetic characterisation and identification of an individual belonging to a given species. Taxonomy is a branch of biology that describes living organisms and groups them into entities called “taxa” (singular: taxon) to describe them, name them and ultimately classify and identify them. 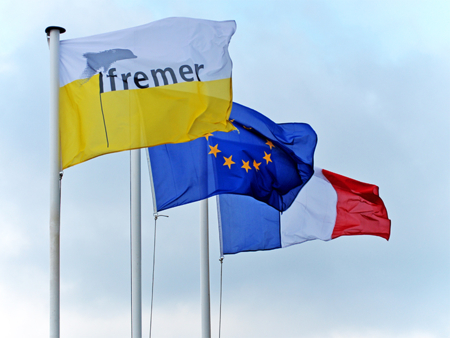 Coordinated by IFREMER, the REBENT network associates a multitude of scientific and technical partners: the marine stations at Wimereux (University of Lille), Dinard (MNHN), Roscoff (University of Paris VI (UPMC)), Concarneau (MNHN), Arcachon (University of Bordeaux), Stareso (University of Liège) and Banyuls (University of Paris VI (UPMC)), the University of Western Brittany/IUEM/LEMAR and LEBAHM, CNRS/University of La Rochelle, University of Nice, CEVA, GEMEL Normandie, Cellule du Suivi du Littoral Haut-Normand, Hémisphère Sub, Bio-Littoral, CREOCEAN.